Professionally colored hair needs a certain extent of TLC to maintain your hair color whether it’s red, platinum, black, gorgeous brown, or any shade in between. At Amanda Maddox Salon, as Pureology specialists, we strive to deliver the best hair color in Knoxville, TN by using the best products available on the market. Here are some top tips to keep your color looking vibrant and your hair looking healthy during this winter season. Keep washing to a minimal. When you color your hair, the outer layer of the cuticle is opened to allow the color to penetrate the hair shaft. Washing your hair too soon after it’s colored can lead to fading of the color since the cuticle layer may still be open. It can take up to three days for the cuticle layer to seal, so wait at least that long to shampoo for the first time after coloring. In addition, extending how often you shampoo will help you avoid stripping the natural oils from your hair. 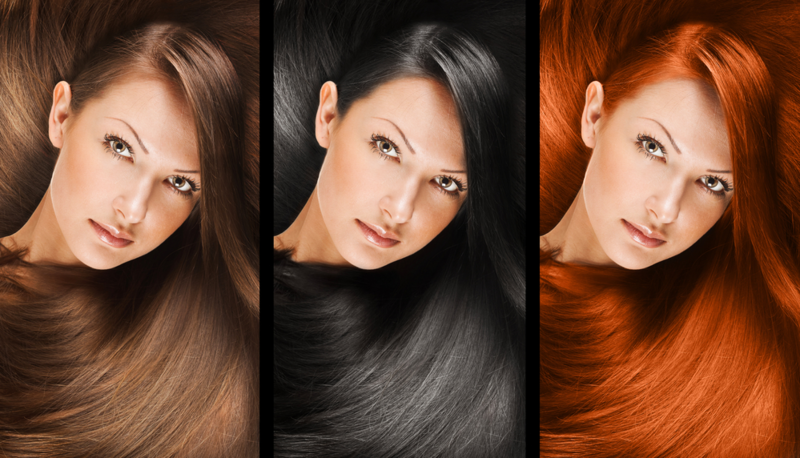 Your stylist will give you recommendations on a good color-safe shampoo that will keep our hair color vibrant. High quality products yield high end results. At Amanda Maddox Salon, we are experts in Redken and Pureology hair products, designed with high-end ingredients for your specific needs in mind. We will recommend a sulfate-free shampoo for color maintenance, an excellent conditioner formulated for these harsh winter months, and other products for all your hair care needs. Turn down the heat. This is specifically targeted to the temperature in your shower. Although hot showers feel amazing, especially when it’s cold outside, it is not good for your hair color. The ideal way to prevent stripping your color is to try shampooing with warm water and then rinse your conditioner with cold water. The warm water allows the shampoo to penetrate the hair shaft to cleanse it, and the cool rinse to seal in the moisture of your conditioner. We also highly recommend turning down the heat of your styling tools, or to put them away in the winter completely. If you must use heat, be sure to use a heat protectant. Visit Amanda Maddox for regular trims. Dead ends don’t hold color and fade faster than healthy hair. Keeping up with regular trims every 6-8 weeks will keep your color looking vibrant and fresh from the roots to the tips. Achieving the perfect hair color for you, and maintaining the health of your hair is our top priority. Make an appointment today at Amanda Maddox Salon. You can find us at 129 S. Forest Park Blvd, Knoxville, TN, or call 865-673-0022. Easily keep up on those frequent trims by using our online booking tool, or try our mobile app, available for a free download at the App Store, Google Play, and Amazon.